Carlos Arroyo scored the go-ahead layup with 17.7 seconds remaining – the last of six fourth-quarter lead changes – and the visitors defended strong on the final possession as Galatasaray Liv Hospital edged Lokomotiv Kuban Krasnodar 66-67 on the road Friday. The result leaves the two teams tied for fifth place in Group F with 4-6 records, trailing Bayern Munich by one win for fourth place. Arroyo, whose three-pointer earlier in the quarter had also put his team in front, finished with 14 points. 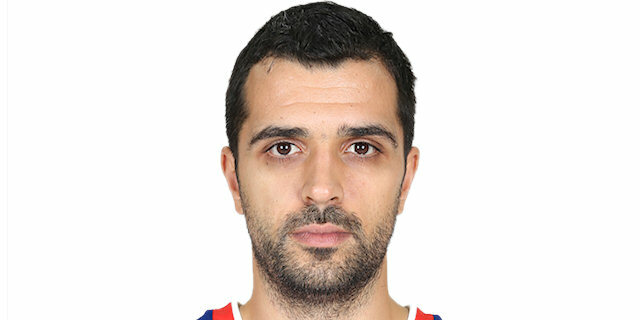 Manuchar Markoishvili – in his first game back from an Achilles tendon injury in October – led the visitors with 19 points on 5-of-8 three-point shooting and Mailik Hairston added 10. Markoishvili started strong with 10 first-quarter points in helping Galatasaray to a 4-18 lead, but Derrick Brown rallied his team back. Brown had 15 of team’s 29 first-half points as the hosts climbed within 3 at the break. Mantas Kalnietis halped Lokomotiv take the lead early in the fourth quarter and the game remained close till the very end. 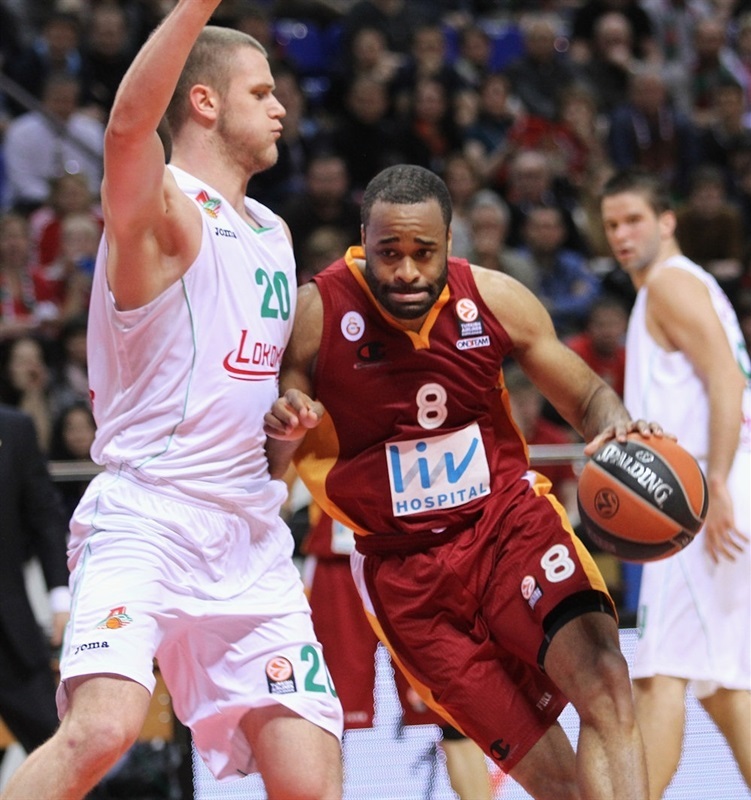 Brown finished with 19 points and Kalnietis scored 14 points and dished 7 assists in defeat. 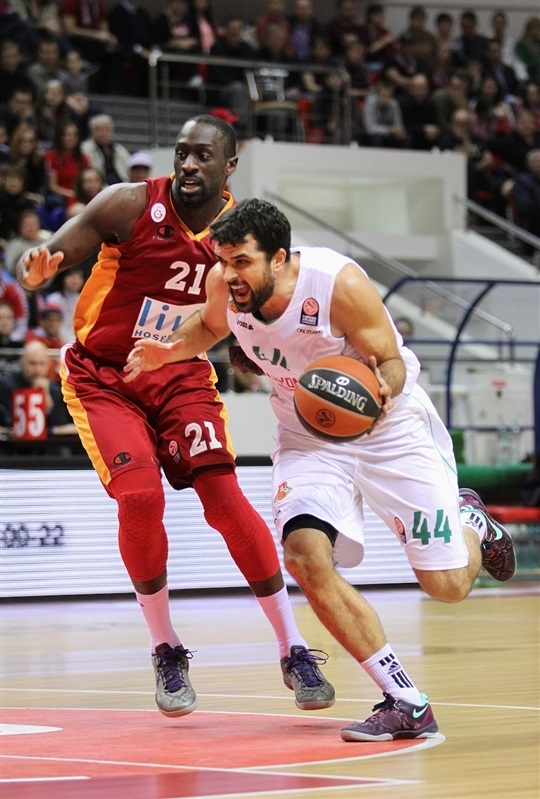 Lokomotiv outrebounded Galatasray 40-29, but struggled with poor three-point shooting (3 of 15; 20%). Galatasaray got off to a brilliant start, taking a 0-6 lead on baskets from Arroyo, Hairston and Markoishvili before Lokomotiv called a timeout after two minutes of action. Zoran Erceg fed Furkan Aldemir inside before Richard Hendrix soared for a layup and the hosts’ first points to make it 2-8. However the visitors continued to roll; Markoishvili drilled a three and Hairston fed Pops Mensah-Bonsu for a wicked slam to extend the difference to 11. Valeriy Likhodey tried to spark the home side with a slam, however Markoishvili added a long jumper and a triple for a 4-18 advantage. 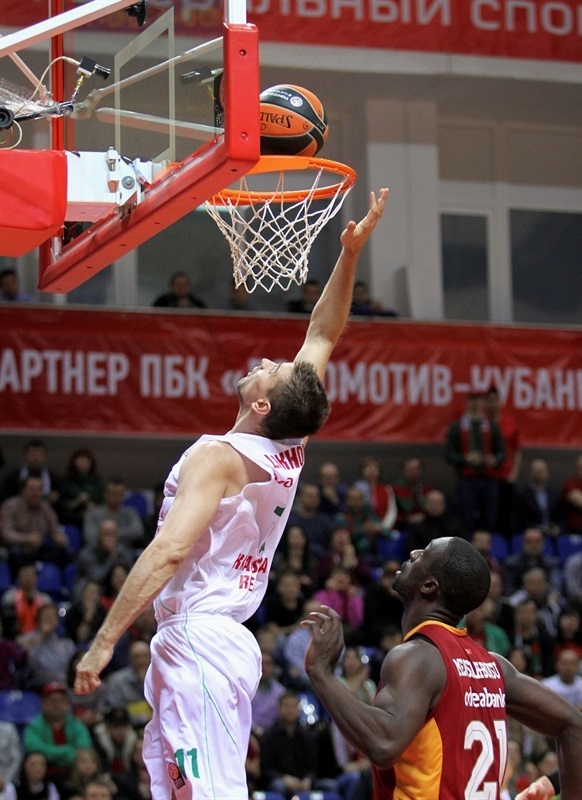 Krunoslav Simon got on the scoreboard for Lokomotiv and Marcus Williams fed Kalnietis for a layup. The momentum started to shift; Brown split free throws and Kalnietis came in to score on the offensive glass. Then Brown’s steal and two-man game with Kalnietis led to a slam for the former to cap a 9-0 run. Mensah-Bonsu muscled his way for a basket inside. A layup for Brown and last-second jumper by Arroyo made it 15-22. The pace slowed a bit as Kalnietis and Milan Macvan scored the only baskets in the first three minutes of the quarter. Brown and Ender Arslan each penetrated for scores on their respective ends. Brown added a jumper to close the gap to 21-26 midway through the quarter. The suddenly red-hot Brown took a steal in for a two-handed slam. Cenk Akyol fired in a three for Galatasaray, but after the TV timeout, Brown threw down an electrifying dunk and tipped in Simas Jasaitis’s missed layup to make it 27-30. Kalnietis fed Aleks Maric for a slam. Erceg countered with free throws to finish the half at 29-32. Maric free throws made it a 1-point game. Hairston and Brown traded layups. Hairston scored a tough basket inside, but Simon assisted Brown for a slam. 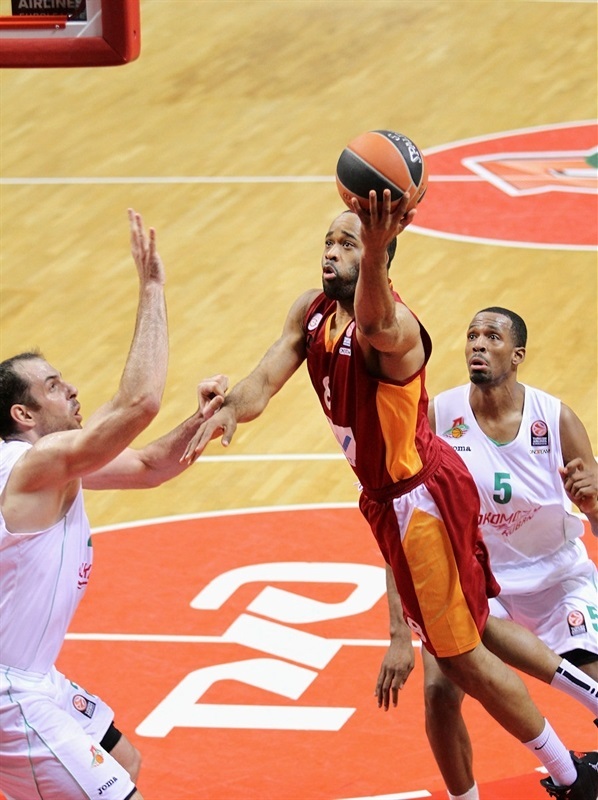 The hosts had several possessions with a chance to take the lead, but Galatasaray came up strong on defense. Macvan scored on the offensive glass, but Likhodey’s triple tied the game at 38-38 midway through the quarter. It proved to be short-lived as Markoishvili connected on his third three of the night. Baskets by Kalnietis and Macvan kept the teams close. Kalnietis lobbed an alley-oop to Hendrix, but Arroyo’s first three extended Galatasaray’s lead to 4. Kalnietis penetrated for his 10th points and soon Hendrix’s full-court pass allowed Kalnietis to tie the game at 48-48. Markoishvili sent in another triple to keep the visitors calm, but Lokomotiv kept coming. After Hendrix scored, Andrey Zubkov’s slam gave the hosts their first lead of the night. 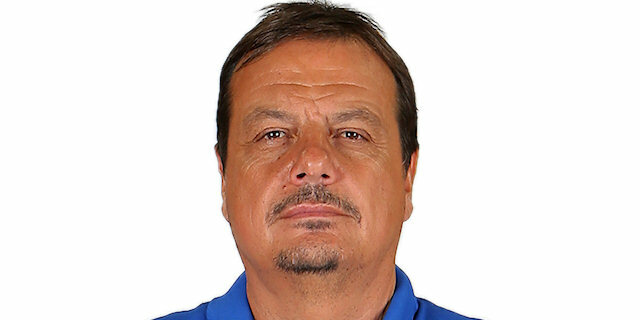 Kalnietis made it 54-51 before Galatasaray coach Ergin Ataman called timeout. Hairston dunked in traffic thanks to Macvan’s pass. Likhodey rifled in another three only to see Markoishvili do the same. Arroyo netted a jumper, but Simon kept the hosts up by 3. Mensah-Bonsu collected his own miss and dunked to make it 61-60 with two and a half minutes to play. An Arroyo triple put the visitors back in front only to see Simon answer from downtown. Hairston free throws with 1:37 remaining made it 64-65. Mensah-Bonsu took a seat with 5 fouls with 26.6 seconds left in regulation. Simon sank the resulting free throws to put the hosts ahead. Arroyo wasted little time in attacking the basket for a layup with 17.7 on the clock. After a timeout, Galatasaray came out strong on defense and Zubkov missed a jumper at the buzzer. "We wanted to start with hard defense, but fell behind 10-0 in the first minutes instead. We couldn't handle contact, couldn't find our way to the basket couldn't stop the opponents’ transition game. But we played a good third quarter and managed to get back in the game. It all came down to the final possession where we expected Kruno to take a shot, but he chose to pass it to Zubkov. 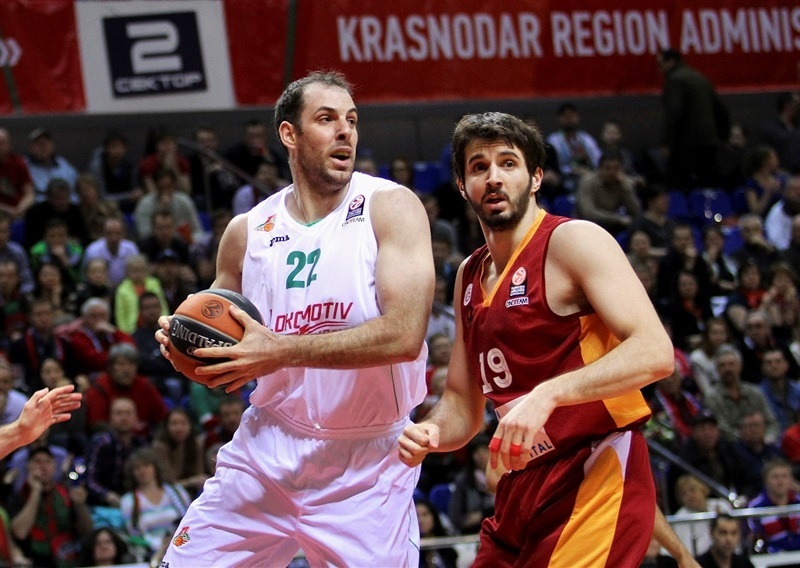 Overall we played good defense on Arroyo, but it was Markoishvili's brilliance that decided the outcome of the game. " " We knew defense would decide the game, so we worked hard to limit their pick-and-roll game. Both Simon and Williams are left handed, so we tried to push them right and I think it surprised their offense. The beginning of the game was great for us, but in the second half both teams made a lot of mistakes. Obviously Lokomotiv shooting 20% on threes is not normal, but we were able to control the game in the final moments. This game was vital for us. Now there will be a big fight between us, Lokomotiv and Bayern for the fourth spot. " "Our bad start was our biggest problem. Galatasaray was well prepared, pressed us, pushed us to the right on pick-and-rolls. And we lost a lot of energy getting back in the game; everything had to be decided in the final seconds again. But you can't always win close games; sometimes you miss. Now our game in Kaunas will be like a championship game. "